Emory Radiology’s new Tower facilities are designed for growth. 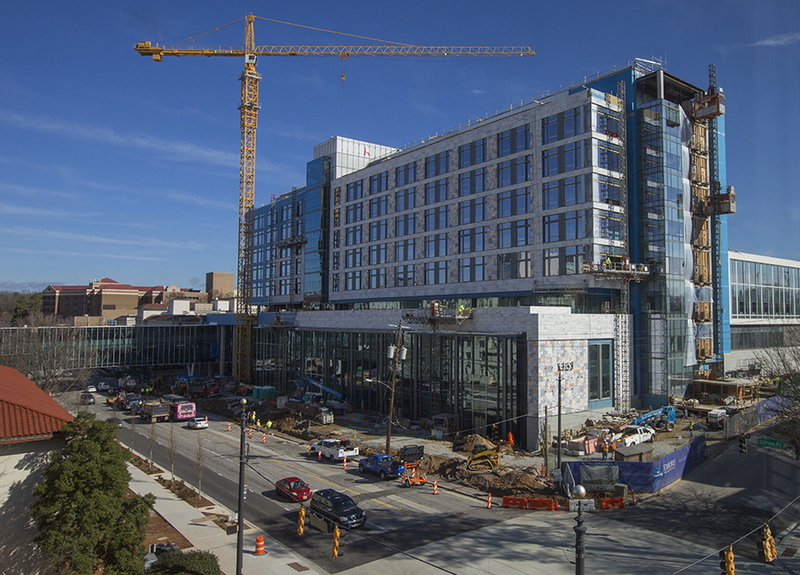 After two years of planning, the Department of Radiology and Imaging Sciences is preparing to move into its newest patient care location: the first floor of the 450,000 square-foot, $400 million Tower (formerly known as the J-wing) on the Emory University Hospital Clifton Campus. The new space will offer four diagnostic imaging modalities, first for outpatients and then for inpatients, when the 232-bed tower opens sometime late summer or early fall: x-ray, magnetic resonance imaging (MR), ultrasound, and computed tomography (CT). Designing the space as patient- and family-centered required the input of real patients and families. Emory Radiology’s Patient and Family Advisory Council actively informed the design and furnishing of both waiting and patient care areas. Much needs to happen between now and when the first patients can walk through the door. Koy Wellons, the new manager of Emory Radiology’s Tower facilities, is in charge of ensuring everything falls into place once construction is completed. The facility will have to undergo inspection by county officials and a “terminal clean” to remove any residual construction materials. After the facility passes inspection and is issued a certificate of occupancy, Wellons, whose office will be in the Tower, and other Radiology administrators can begin orchestrating move-in. Among the first elements to move are the imaging machines. Perhaps most exciting, says Dale Walker, Emory Radiology’s director, strategic initiatives, is a new Siemens CT SOMATOM© Force, providing 4D imaging at half the dose and with dual energy quantification. This is the first location in Georgia to offer this game-changing CT scanner, which is faster and more sensitive than other CT machines in detecting cardiothoracic abnormalities. Other imaging equipment includes a magnetic resonance imaging machine moving from Clinic A, plus new stationary and portable diagnostic x-ray machines and an ultrasound machine. The Tower is outfitted with wireless technology to improve workflow and productivity. Technologists using the new portable x-ray and ultrasound imaging machines can immediately transmit inpatients’ studies down to radiologists for interpretation. This real-time transmission improves workflow which then enhances the quality of patient care. 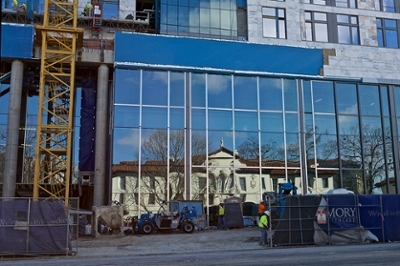 Emory Radiology’s new Tower facilities are designed for growth. The facility will go live with one patient imaging room per modality, but it has the capacity to expand to two imaging rooms for each modality as patient load increases.